Last night, I shot 400+ pictures with my Canon 650d. I was happy until I plugged my memory card into my card reader. The .CR2 files look okay, but when I import them to Lightroom, an error shows up: "The files appear to be unsupported or damaged"
Please help me - I've lost a long day of great shots. Second, but only slightly thereafter, lock your memory card. That'll prevent accidents. Next, find a different memory card reader, cable, and ideally completely separate computer. It's possible that the images just had a problem in transfer due to some hardware glitch. If they are still damaged, you are probably out of luck. You could try memory card recovery software, but it's really unlikely to help, since that works best when the damage is really just to the filesystem structure (like accidental deletion or formatting). You have to look for some Raw Image Repair Software. Although there are many recovery software available online, but most of them cannot repair from RAW files. Also do not use that memory card further until repair process is complete. Not the answer you're looking for? Browse other questions tagged lightroom raw data-corruption canon-650d or ask your own question. How do photo files get damaged? 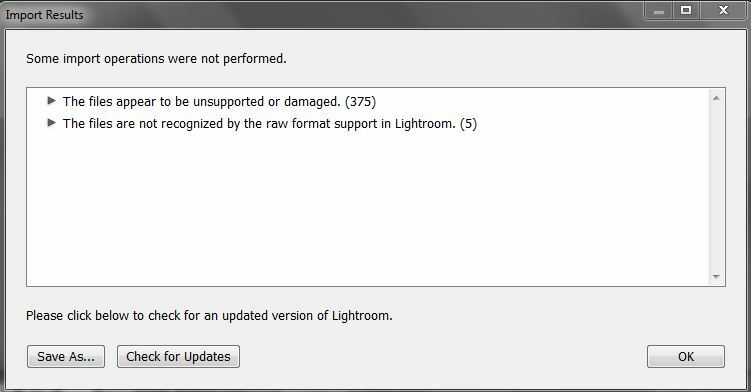 Can Lightroom detect corrupted images? How do I repair “partially” corrupted raw (cr2) files? How to find corrupt CR2 files? 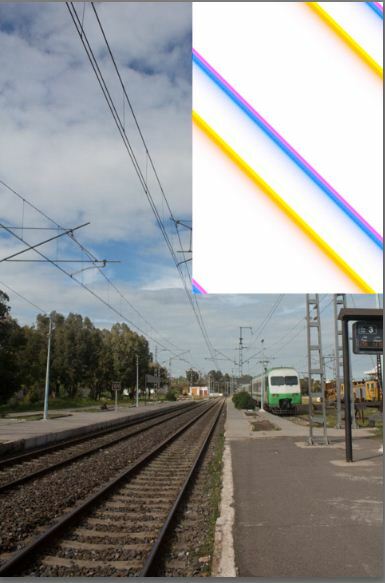 Possible cause for corrupted images (colored stripe with dots in pictures)? How to recover corrupted photo files?